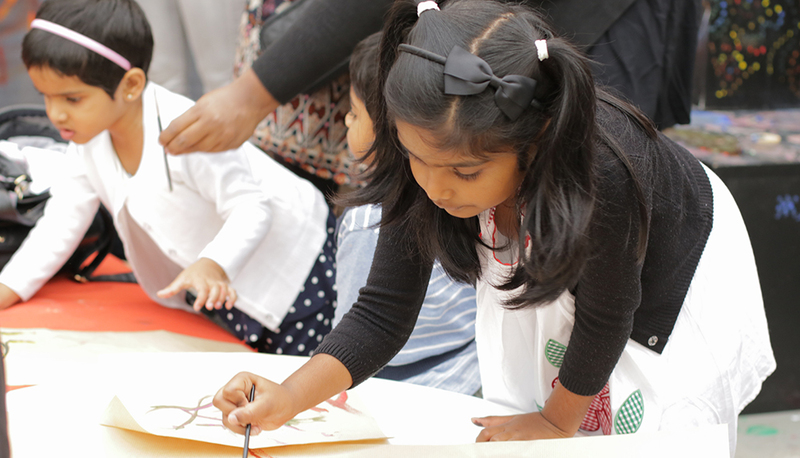 Middlesex University threw open its doors for a Big Draw Family Day on Friday 28 October with hundreds of youngsters from across London getting creative. 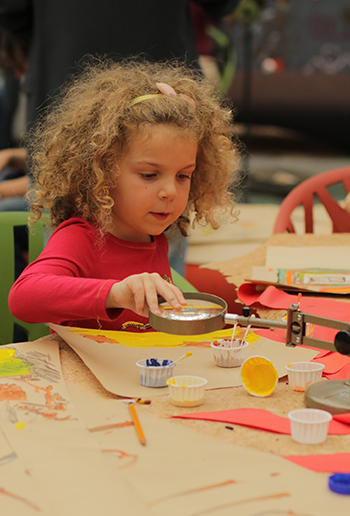 The event, which was part of The Big Draw, a nationwide celebration of drawing and creativity , saw participants learning about survival in the Survival Village, constructing musical instruments from unlikely items, and enjoying virtual reality experiences. Based around the theme of a ‘Super Volcano’, visitors were asked to create art addressing the aftermath of a natural catastrophe. There were also a variety of animals on show to inspire the young artists, including owls and locusts. “It was amazing to welcome so many creative families on to campus and give them a chance to demonstrate their artistic talents around this STEM theme,” says Andrew Pomphrey, Senior Technician for the Faculty of Arts and Big Draw coordinator. This year’s theme focused on the introduction of the Arts into the Science, Technology, Engineering and Maths (STEM) agenda, providing the ideal opportunity for Middlesex to celebrate the creative crossovers between its Faculty of Arts and Creative Industries and Faculty of Science and Technology. The Survival Village, run with the support of The Royal Academy of Engineering, will make another appearance next year as part of SMASHfestUK - a celebration of science for school-age children organised by Middlesex academics from 15 -17 February.